I am proud to serve cancer patients and their families at Cancer Treatment Centers of America® . I strive to provide the best care possible. Evan Pisick, MD, believes it’s important for cancer patients and their loved ones to learn as much as they can about the disease. The medical oncologist talks with his patients about their diagnosis and treatment and encourages them to ask questions. He analyzes each patient’s test results, takes detailed notes on their medical history and performs thorough physical examinations. These are some of the critical steps he must take in order to determine the most appropriate treatment options for each of his patients.Board certified in medical oncology and hematology, Dr. Pisick practiced medical oncology and hematology with DuPage Medical Group in Naperville, Illinois, before joining Cancer Treatment Centers of America® (CTCA) in 2008. After completing a bachelor’s degree in biology at the University of Rochester, he earned a medical degree from Boston University. 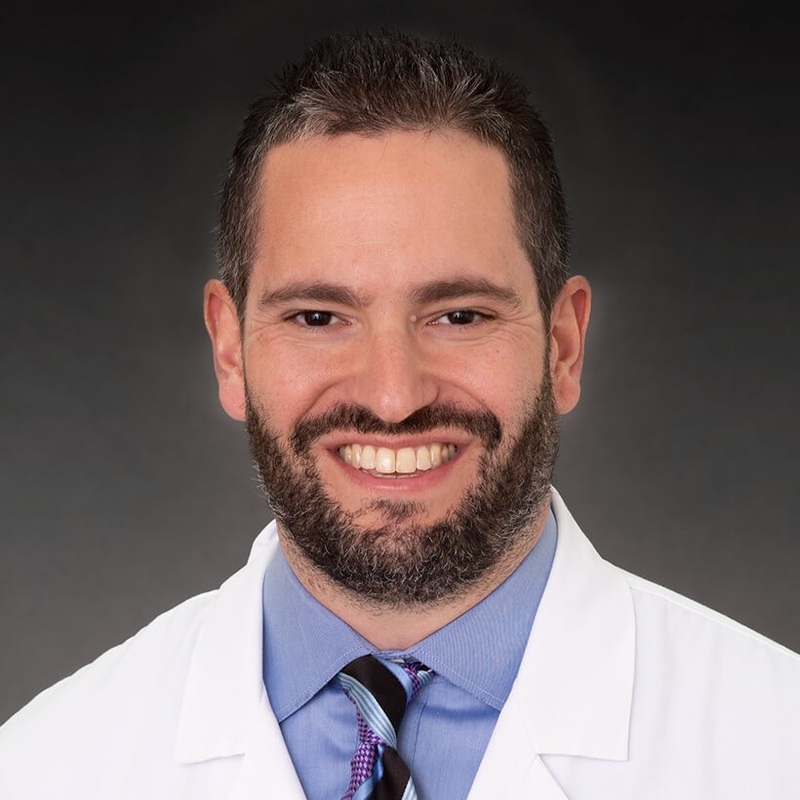 Thereafter, Dr. Pisick completed an internship and residency at Mount Sinai Medical Center in New York City, followed by a fellowship at Tufts Medical Center in Boston. Dr. Pisick has researched and written extensively on small cell and non-small lung cancer, as well as malignant mesothelioma. His work has been published in a variety of scientific journals, including Hematology/Oncology Clinics of North America, Anticancer Research and the Journal of Experimental Therapeutics and Oncology. Early in his career, Dr. Pisick was a research technician at the Dana-Farber Cancer Institute. He has been a member of both the Association of Pathology Chairs Pathology Honor Society and Alpha Omega Alpha, a national honor society for medical students. "sharp guy doesn't try to kill you off. very concerned about my general health always open to listening." "Dr Piseck has my complete confidencecame to clinic over 6 yrs ago and will continue as long as Piseck there." "*Dr. Pisick and his team have answered all questions we could think of and many we couldn't." "Evan Pisick is wonderful and I trust him wholeheartedly! I would recommend him to anyone. He saved my life!" "Dr. Pisick fully answered my questions and concerns, even though it took quite a bit of his time." "Really disappointed when Dr. Pisick said there was nothing else they could do for me there. But fax me a list of possible clinical trials elsewhere in the US to try to get into. Also told me to reach out to Top [...] Centers who deal with rare cancers like mine; [...] I haven't had any luck finding another trial yet." "Dr Pisick ... would not have been here now if it was not for his Knowledge and caring ! there are no words enough to express how I feel." "*Evan Pisick is an excellent oncologist. He addresses all my questions and needs." "He offered all the time needed by us to answer any & all questions. Nice to be considered important." "Dr. Pisick is unbelievably knowledgable in his field and imparts a very calm, caring feeling to me." "He was our second opinion and he brought up so much more reasons why we should go with the treatment he suggested. we are VERY happy with him"
"I won't get nervous as long as Dr Pisick doesn't get nervous"
"He will be the best dr. you could have. (Tell other people.)" "Dr.Pisick is a fabulous oncologist he doesn't rush you and takes time to listen and answer any questions you may have"
"dr Pisick was ok just very clinical. I called to get my questions answered by Care management"
"Dr. Pisick is wonderful, friendly and informative. [...]"
"We believe Dr. Pisick is very competent. However, his facts-and-data / scientific approach by itself does not tend to build hope or encouragement. He did, however, assure us that he would be our advocate which we believe was 100% sincere and much appreciated by us." "*Dr. Evan Pisick and his staff are awesome!" "Dr. recommended support group for survivors." "Took care of me in a timely manner." "Informative, with straight answers, and was told what I could expect down the road." "Explained everything in manner that I could understand without all the medical terms." "I have already recommended this facility to several friends"
"dr picek is the best"
"he is knowledgeable, helpful, patient and understanding"
"I adore my Oncologist. He is the best." "He was very informative and answered all of our questions." "explain every thing I had told my experience friends family"
"explained prognosis and future treatment very well." "just wish there was more time spent with me for what I pay!!!!!!!!!!!" "Personable. Excellent discussion of options. Made me confident in the staff and system as a whole." "I have known Dr. Evan Pisick for about 6 years. We have developed a very good relationship and I have a lot of confidence in his knowledge of the medical topics we discuss." "*Dr. Pisick was very friendly, personable, informative straight-forward with information I needed to make the best decision. *Dr. Pisick very knowledgeable, patient, very kind, sympathetic, encouraging and reassuring. All of my concnerns were addressed." "we had a nice visit, hoping for a different outcome"
"Take his time to talk through scans and my options. Listens to concerns me & husband have." "You are the man *Dr. Pisick!!" "*Dr. Pisick is outstanding & I thank God I am blessed to have him managing my cancer treatment - cheerful & upbeat to keep spirits up." "We have recommended CTCA to folks we have met with cancer, esp. when the outlook seems grim. We are very pleased!" "all my questions get answered"
"Dr. Pisick is an amazing man. He is kind hearted and genuine. I am thankful you have such a great facility." "My follow up visit was excellent. Dr. Pisick is an excellent oncologist." "dr evan is just as terrific"
"*Dr. Pisick doesn't give up! He keeps up with trials and treatments. He is straight forward with his diagnosis and plans - Good or bad"
"Dr. Piscak is a saint!!! He like family to us!!" "I am ecstatic I am doing so well. The check up by the oncologist was very quick. I feel he could have take a little more time to check vitals and discuss long-range outcomes." "we have recommended to several people"
"Dr. Pisick and CTCA are the very Best !!" "I tell everyone to come there"
"dr pisick is a fantastic doctor"
"Provides appropriate information and answers questions with the appropriate technical specificity to the patients capability to understand the information." "has to be the best around"
"I don't believe there are any other oncologists that even come close to the level of knowledge in his field and caring for the patient as well as Dr. Pisick and his team does." "I LOVE *Dr. Pisick!! I know as long as I have him on my team if there's a way, I will continue to live a happy long life." "Dr Pisick is so caring and always treats you as if you are his family member"
"I think that he has a myopic view towards treatment inasmuch as he exhibits an interest/ concern only re treatment just for the "named" cancer disorder. here appears to be a reluctance to even address any symptoms which might be "related" to the treated cancer. Particularly, when the exhibited painful symptoms are located in the treated cancer area. I think that the oncologist is probably effective for caring for me as it relates to the designated cancer"
"I have never had any doubts in my care teams over the years. Dr. Pisick has a winning approach, with next steps planned if the need arises." "Dr Pisek is very knowledge and keeps us up to date with all findings"
"the greatest doctor I have ever had the pleasure to be his patient"
"Great, explained plan, patient with all treatment and constantly investigating new ideas and levels of help." "My Oncologist's shows concerns and explains to me all of my conditions and ensures that I understand his instructions." "simply the best there is love that guy (Dr Pisick )"
"I recommend other friends and family any time cancer comes up in a conversation." "I respect Dr. Pisak and his opinion and treatment plan."